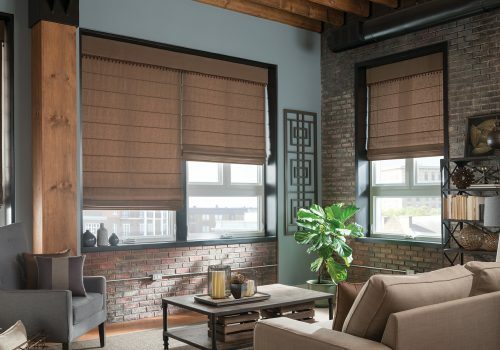 Mezzanine Layered Shades, By Graber, take on a combination of a standard horizontal blind with the look of a fabric shade. 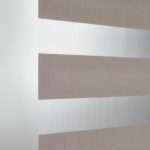 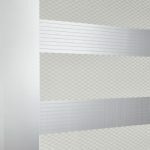 The blind is composed of two layers of sheer fabric with woven horizontal bands. 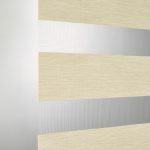 These blinds provide a versatile use, easily going from full privacy to allowing light and view through to the landscape. 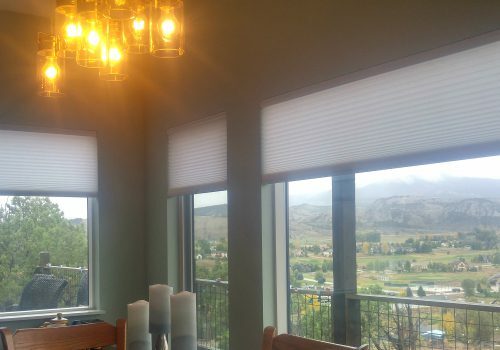 When fully retracted these shades are almost completely out of the window tucked into a fabric wrapped cassette. 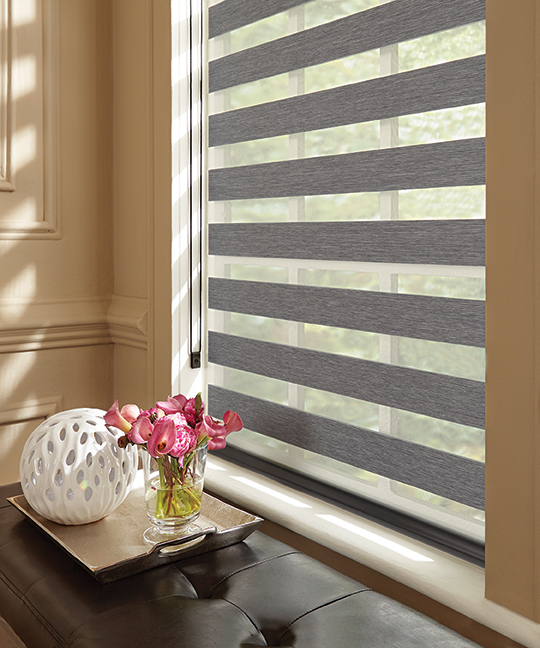 The layered blinds can also be motorized and make a great addition to any room in the house. 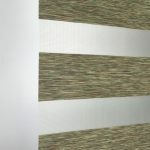 Layered sheer blinds can be motorized and automated like most other blinds and window treatments. 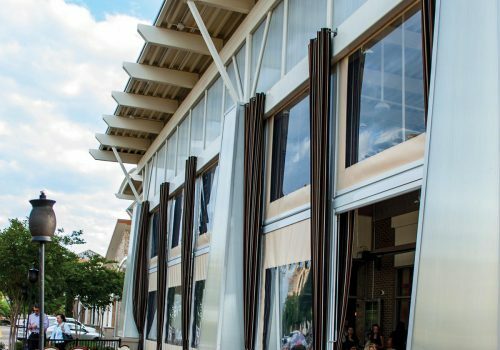 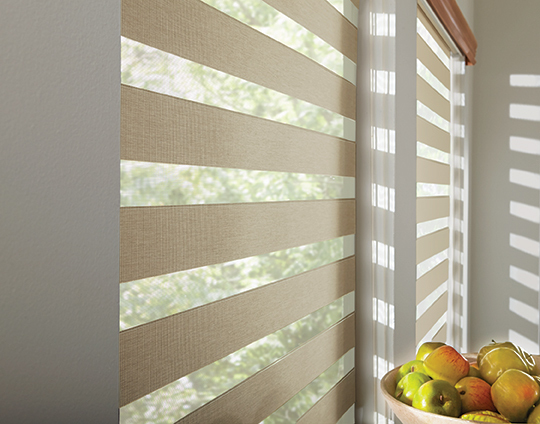 The blinds sheer fabric rotates on a aluminum tube creating a smooth, accurate operation. 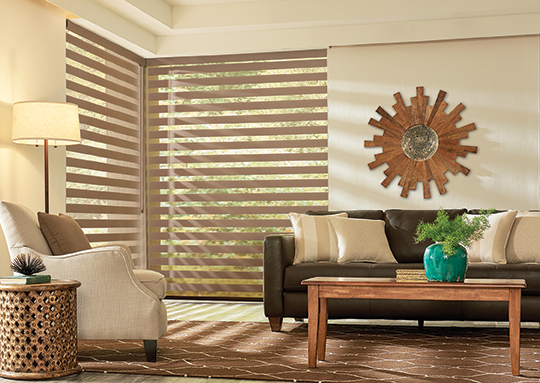 The motorized window treatments can easily be controlled via a remote or linked into a home automation system. 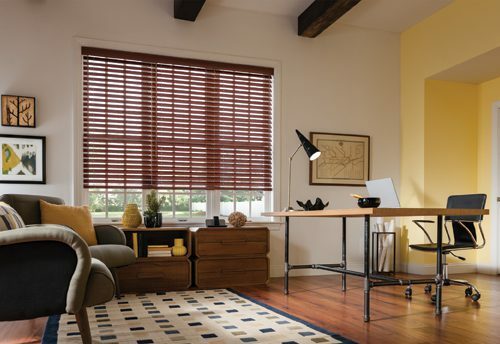 The blinds can be battery powered or hardwired for multiple power options. 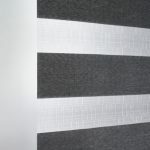 The continuous loop operation, provide ease of operation and precise adjustment of the sheer fabric. 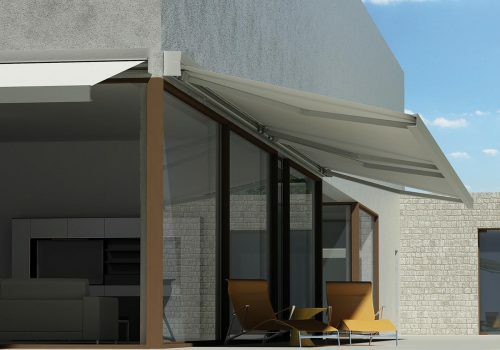 Allowing you to perfectly adjust the amount light and privacy you want. 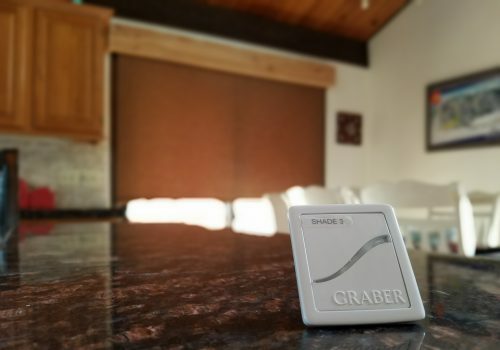 The cord hold down, provides safety and a clean finish, so the cords don’t dangle or become a toy for your pets or kids.